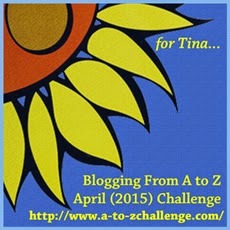 On April 1 I will be participating in the annual April A-Z Blog Challenge. The challenge is to blog every day in April (with Sundays off). Each day, starting with the letter A and working through to Z, the post will have be written about a topic which includes the corresponding letter of the alphabet for that day. Another one of the goals is to meet new bloggers and have new bloggers discover your blog. So the other challenge is to read the posts of 5 new A-Z participants each day. This year the number of people who have joined is over 1500. Anyone can participate. 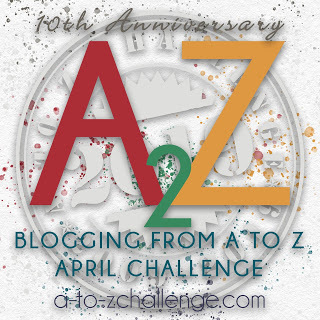 If you would like to participate or perhaps just read the posts of very talented writers, here is the link: April 2015 A-Z Challenge. I think this is the third year I am participating. The first year I winged it. I would write each day. Usually I wound up posting my piece a few minutes before midnight. Last year I tried to be a few posts ahead. And the last two years I did not have a theme. They were just random posts. This year I am going to try to stick to a theme. I will revel that with my first post. Thanks Betty! You too. Looking forward to your posts. Good Luck. I like your blog. Good luck. Can't wait to see your theme.